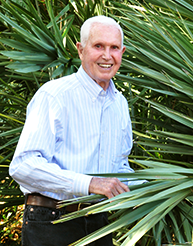 John Fairey’s contributions to the science and art of horticulture are everywhere evident at Peckerwood, the garden he has been continually creating since the early 1970s in Hempstead, Texas, on the outskirts of Houston. A plant explorer, botanical researcher, teacher, and distributer of rare specimens though Yucca Do Nursery, he is also an artist whose landscape design skills take gardening beyond the realm of simple plant display. In addition, Fairey directs Peckerwood’s collaboration with several research institutions on plant conservation and the effects of climate change on gardens in Texas and elsewhere.